The Archangel Michael Prayer will help you connect with the presence of this beloved archangel. Saint Michael is the patron saint of soldiers and police officers. He is also the archangel of faith, protection and strength. Dear Michael, help me, protect me, give me strength! A prayer doesn’t have to be fancy or lengthy to be effective. Sometimes, the simplest prayer is the most effective. Do you need some prayer inspiration? The following are some popular prayers to this popular archangel. Guard me and guide every day. 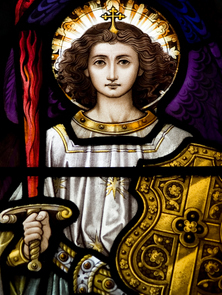 Archangel Michael, with me now! From anything that is not of God. I hope you find among these, your favorite Archangel Michael Prayer. For more on prayers and angels, please visit the pages listed below.